Is rick getting into tailoring? On a serious note, if new rick is a scout shouldn't this be a scout weapon? OMG, SPOILER ALERT! I believe this means Rick will be appearing as a Moderator on this forum after he leaves the show!!! Get ready ya'll. And his Mace is intended to reduce the amount of dumb threads by caving in skulls (similar to Jenn's throat punch). 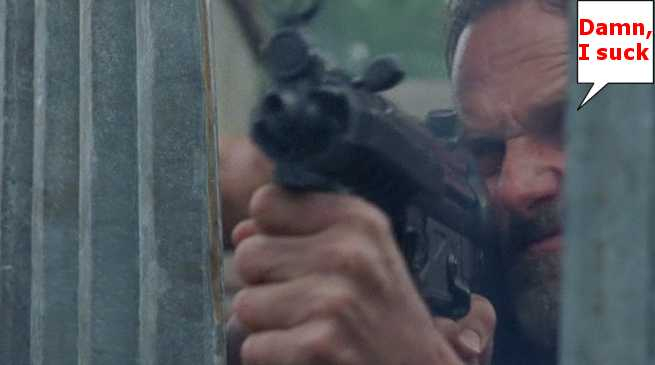 - We do have some weapons like "Daryl's Diamond Knife" or the "Savior Axe" which Rick carries around everywhere in the show and those can't be equipped on Rick and Daryl too. So in order to make this weapon suitable for Rick, we would have to make him a Bruiser, which is kinda distant from the character. 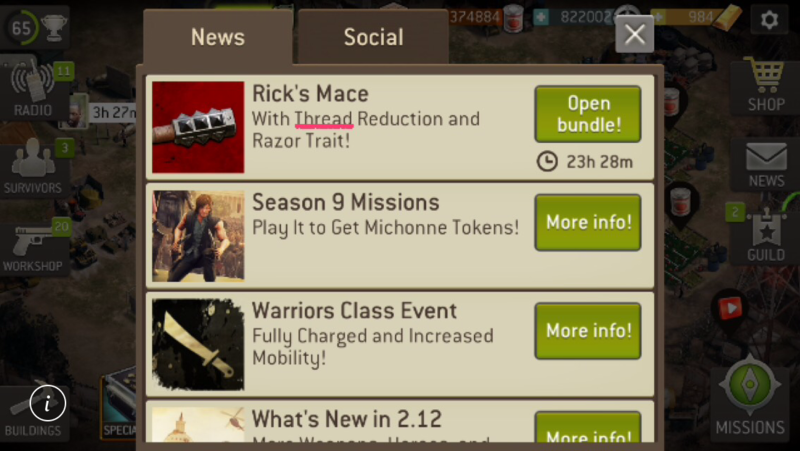 So answering your question, Rick won't be able to equip Rick's Mace.
. So in order to make this weapon suitable for Rick, we would have to make him a Bruiser, which is kinda distant from the character. For those who bought this, how are they liking it? I was tempted but after only using Morgan's staff/hockey stick forever, its damn tough to go back to only hitting 1 enemy on a normal attack. TR on a bruiser weapon was the only thing that gave me a slight pause, but it wasn't enough for me. Yep @kaz I've got 25 quid just sat there waiting for it! But could you do in about a months time when I've got my survivors up a level? With that mace you can, (45%) of the times, stun any level walker and maybe crit on it and if you kill have a chance to reduce the walker counter. If he is still alive(crit or not), he will be stunned. With morgan staff you do aoe damage, but stuns aren't possible at high RSLs and you will be doing body shot damage. Razor can change quite a bit the way we play with bruisers... PS and razor may be a decent crit, that can reduce threat... It is hard to say.